We pulled up to Wall Street, the soaring walls of red sandstone right along Potash Road. 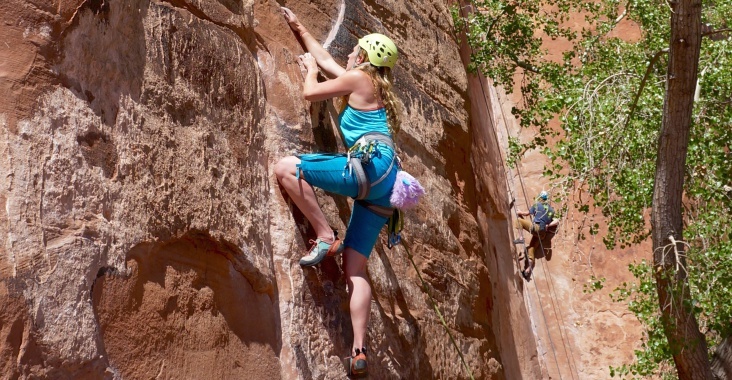 It was a sunny, warm, but not desert hot, day in Moab, and the crag was packed with climbers. Still, I felt like I should give it a try. As I scoped it out and felt the first few handholds, a guy belaying on the next route said it was definitely worth doing, so I decided to give it a go. I put on my harness and racked up…then tried to figure out how to even get off the ground. This kind of sandstone was new to me, and I couldn’t seem to get my feet to stick. Just when I thought I was about to stick a move, my foot would slip off. But slowly I was figuring out the starting sequence and making progress. Finally, with the help of my spotters turned human stick clips, I made it onto the wall and past the first bolt. But I soon determined that, despite the assurances of my new friend in the nearby group, getting off the ground wasn’t the only crux. I slowly shuffled my feet and shifted my weight, but the next hold still seemed so far away. I stretched for it and felt my seemingly solid foot slipping. Suddenly I was off the wall, falling, and still falling, until I basically bounced off the soft sand of the ground. It wasn’t a free fall, and my belayer did all she could for a fall that far above the first bolt. As I stood up and brushed myself off, I realized I had taken my first real whipper, and I was fine. In fact, more than anything, I was frustrated that I fell off because I would have to start over. But I was definitely trying again. My belayer suggested I go left instead of right, and that was all the motivation I needed to hop back on the wall. This time I had the beginning dialed (and even more efficient with a little dynamic start), and the new beta up to the second clip actually worked, even though it was tenuous and unintuitive. And then I was just in it. 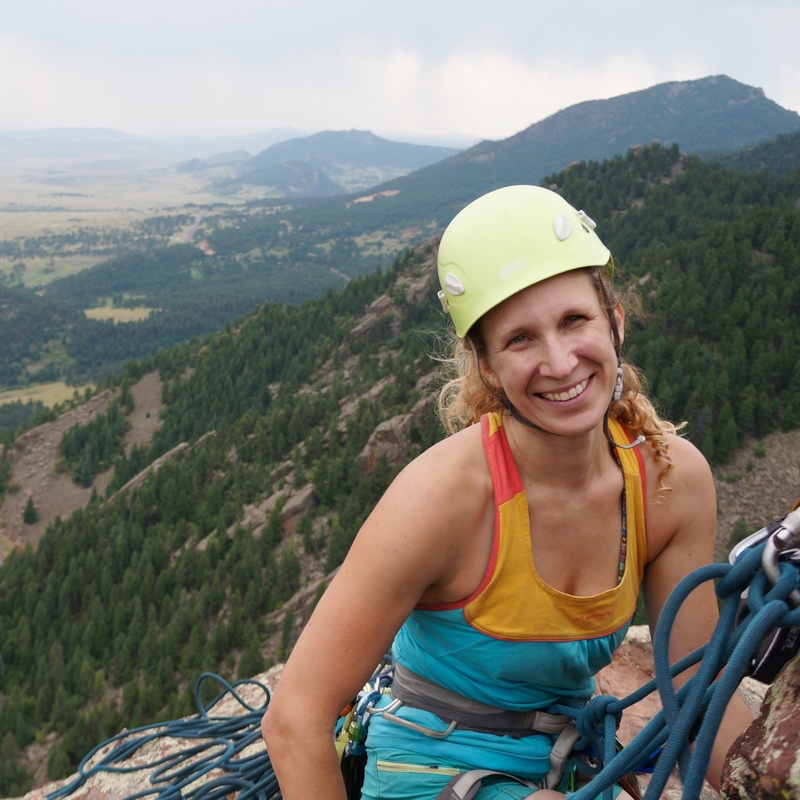 The climb was hard for me (especially as an avid slab hater), but as I slowly worked through each move, I forced myself to trust my feet and actually believe that I could do it. And I could. I’d already taken the worst whipper possible on the route, so each time I began to feel fear creep in, I let it go and brought my mind back to figuring out the climb. I focused on only on the contact of my fingers and toes on the rock. This was presence. This was flow. And both agonizingly slowly and startlingly suddenly, I found myself at the chains. I clipped them, incredulous that I had made it to the top. I could hardly remember how I got there. 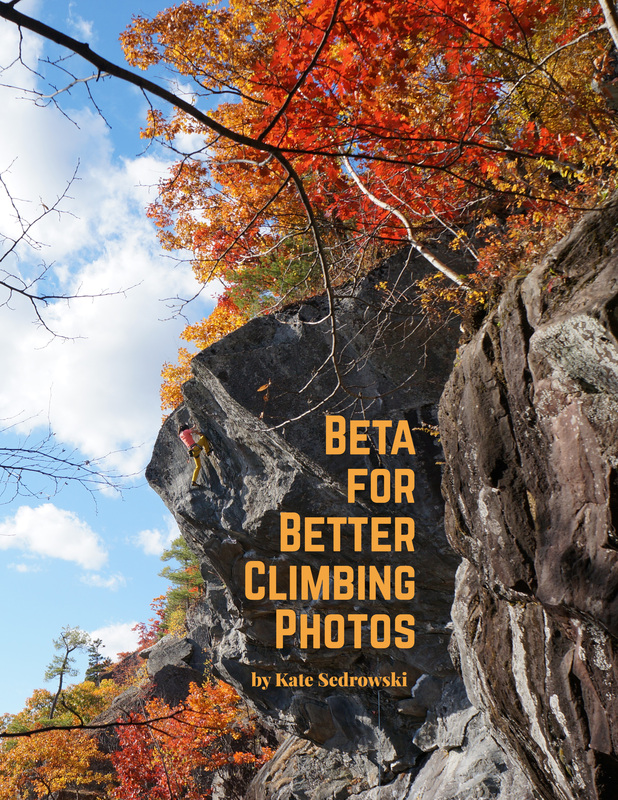 When my friends climbed the route after me and asked for beta, I wasn’t much help. Because as I had made each move, that was all that mattered, and my brain didn’t retain the sequence. This is what I crave in climbing. A challenge that pushes my limits, but doesn’t push me into panic. A challenge I could do.